I love broccoli, but I love ice cream even more, and I eat both these things on a regular basis haha! Hmm… some weird quirks. I like to pour myself a cup of hot coffee and let it get cold before I drink it. Lol! I also get a lot of speeding tickets, which is something I am working on ;) Lastly, I’m a very crazy dog-lady, and I love a lot of animals more than people. 2| Can you share a little bit of your story concerning your eating disorder? How did that journey begin & when did you decide to pursue recovery? My eating disorder began in my teens and developed over 12 years. I struggled with lots and lots of different disordered eating behaviors in the pursuit of having a “perfect body”. After my wedding in the fall of 2016, I hit a rock-bottom moment, where I knew something had to change. I finally opened up to my husband about it all and reached out for help. Two years later, I can say that I’ve never felt better in terms of my relationship with food and my body, which I am so grateful for. Nowadays, I teach other women how to reach this point of peace and calm around food and their bodies, so they can live a life full of awesome opportunities and purpose. 3| In Volume 3 of The Authentic Woman, you share about releasing old identities that don’t serve us and choosing self-acceptance. What advice can you offer to someone who is in the process of pursuing self-acceptance and body-confidence? My advice is to start with gratitude. Think about all the things your body does for you on a regular basis. Your legs take you places. Your arms allow you to give great hugs and pick up babies and puppies and so much more. Your belly digests your food for you. Your brain allows you to think and question things and create peace and happiness. Your body does SO much for you on a daily basis and we tend to forget about all of it and focus on things we perceive as “flaws” that need “fixing”. Appreciating your body for being your vessel is the first step, and it goes a long way. 4| What are your top 3 practices that you implement on days when you’re feeling insecure about your body? Because we ALL have those days, but I think what matters most is how we move forward from them. 1. I am extra kind and gentle with myself. Self-compassion is something I’ve always struggled with, but being patient and trying to practice it as much as I can is so important on bad days. 2. Slowing down. We cannot pour from an empty cup, so bad days for me usually happen when I put too much on my plate. Consciously stepping away and allowing for an afternoon of self-care is so important. 3. Self-care! Asking myself what I need on those days is so healing. Sometimes, my self-care involves simply lying on the couch and staring at the wall. Sometimes it’s a long walk with my dog. Sometimes it’s a massage. It’s always different and self-care looks different for everybody. That is why simply asking myself “what do I need today?” can really help. 5| What are 3 of the biggest health myths that you see a lot of women struggling with? Can you break those down for us and then tell us the truth? I can say from my own experience that this simply isn’t true. If you don’t love yourself now, changing your body won't make you happy. In fact, it will make you even more obsessed and it’s an isolating place to be in. In my experience, both these things made my life miserable. My entire day revolved around my diet and exercise regime. It’s all I thought about. My health declined rapidly, my hormones were completely out of whack, my digestion was a war zone and I was generally not a happy person. It took a lot of joy out of my life. Healthy comes in all shapes and sizes. A thin person can be unhealthy and a fat person can be healthy. Being thin doesn’t magically make us happy. Everyone’s body has a different happy/healthy weight set point. 6| What does being an authentic woman mean to you? It means showing up as our true selves, unapologetically. Distancing ourselves from relationships and situations that don’t serve us. Standing up for ourselves. Setting boundaries and staying true to ourselves is authentic, and that is what will make our lives fulfilling and purposeful. Rini is an eating disorder recovery coach and educator, health and lifestyle blogger, fitness instructor and social media influencer. She is working with women who want to find peace with food and their bodies and live a life free of rules and restrictions. Her mission is to help women embrace their bodies as they are and focus on what their bodies are capable of instead of what they look like, so they can take the wheel and finally take action in creating the life they always dreamed of. 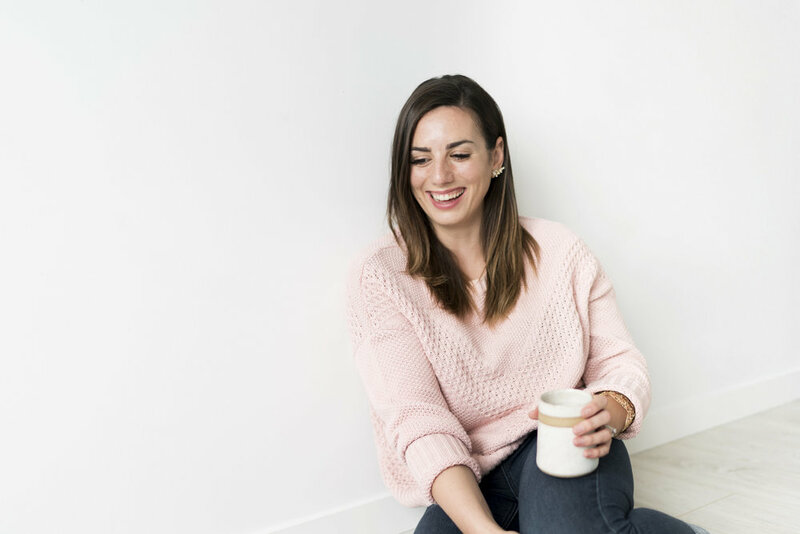 Connect with Rini over on her website & Instagram!